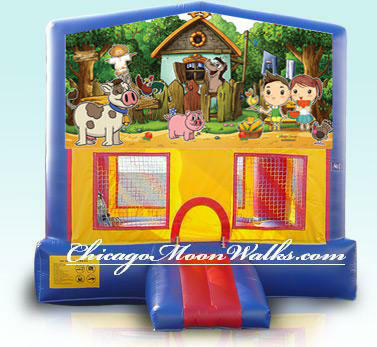 My Little Farm Themed Inflatable Bounce House Rental in Chicago. Licensed Panel is included. Please note area required for setup is 20'x 20'. Height requirement is 14'.